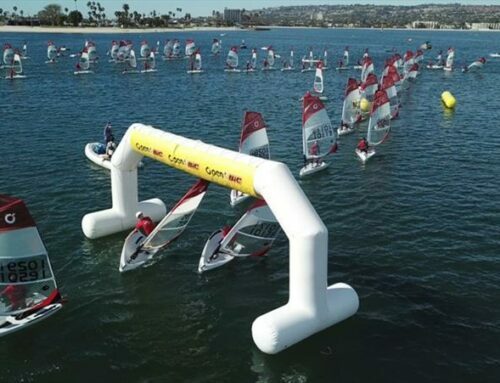 The 2016 O’pen BIC World Championships 2016 took place from 18 to 23 July at the ENVSN (National Sailing and Water Sports School) at Quiberon in France. This World Championships was the biggest in the history of O’pen BIC, which celebrated its 10th birthday this year. 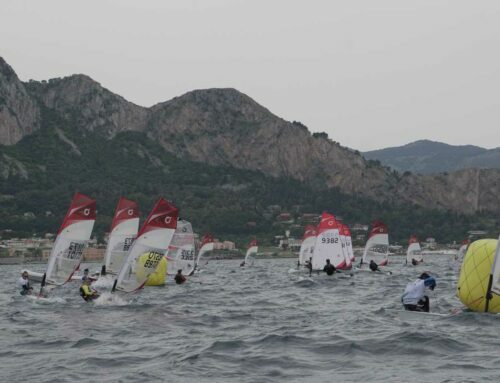 205 competitors from 15 different countries raced from 18 to 23 July. The National Sailing School in Quiberon has pulled out all the stops for this competition, with the local Comite Departemental de Voile de Morbihan in charge of the actual organization, managing to get nearly 50 members to volunteer their help on land and water for the week. 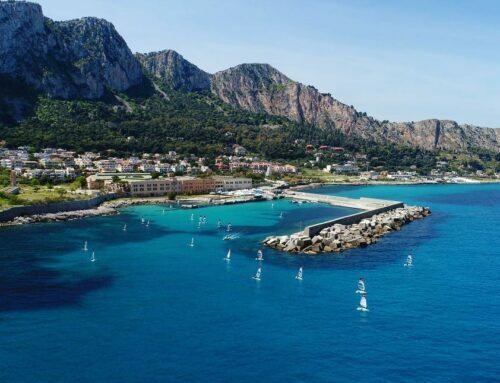 58 brand new O’pen BIC boats have been rigged up and made available to those competitors flying in from the far flung corners of the planet. Alongside the sizeable French, German and Italian delegations, there are bigger teams this year from Japan, United States, plus Poland and Great Britain which are represented for the very first time. Sun high overhead, 8 – 14 knots of wind, beautiful sea . . . Tip-top conditions for this final day of competition which saw 3 new champions crowned at Under 13, Under 16 and Under 19 level. At midday, the wind starts to lift and the O’pen BIC fleet takes to the water for their last chance to sail the beautiful Baie of Quieron. Surprise and clarity are the buzz-words for the new/final day’s racing. In the Under 13s, it’s all a bit too difficult for the French youngsters, the highest placed is Enael Rio in 5th. Among the true Breton locals Victor Samson Le Priol, from the Club Nautique Arradon can do no better than 12th. So it’s an overseas podium, with Australia taking 1st and 3rd in the person of Travis Wadley and Talia Bulstrode. In 2nd place is the young German Lennard Morgan Frohmann, who actually had a training holiday at the ENVSN this Spring that has clearly paid off handsomely. In the Under 16s an incredibly tight overnight situation means an intense day for all concerned and everything to play for right to the final round of racing. In the end the young man from Arradon, Titouan Petard, seals his excellent week’s results with the title of Under 16 World Champion, a fair reward for his season-long effort on the French O’pen BIC tour. Australian Kristen Wadley chases him to the line for 2nd place, and in 3rd is Theo Michez, another French sailor from the very strong Club Nautique Arradon. In the Under 19s, the best placed French racer is the Breton from La Trinite sur Mer, Doran Gouron-Le Roch, who comes close but eventually finishes in 3rd place. Ahead of him, American Lars Von Sydow in 2nd and, making her the Under 19 World Champion 2016, the Czech girl, Veronika Zivna.